Thank you for your interest in this project. We are not running the Resolution Project this year, as we are concentrating on developing our events program. However, please sign up for our newsletter in case we decide to run it again. When the New Year rolls in, many of us are quick to promise ourselves we’ll exercise more, spend less, prioritise time with friends and family, save for travel – but what about resolving to achieve our creative and business goals? Creative Women’s Circle, which supports, champions and connects women in creative industries, is here to help. What is The Resolution Project? CWC’s affordable, year-long goal-setting and getting program, The Resolution Project (TRP), will empower you to map out your creative and business dreams and make 2017 the year you achieve them. Along the way you’ll be supported by a tribe of like-minded women who will celebrate your successes and help you overcome the obstacles that might fall in your way. A printable workbook helps to clarify goals and identify the steps to achieve them, while in-person workshops, events and online tools facilitate meeting other passionate women to share what you are stuck on, find support networks, learn tips from some talented experts and develop new strategies to keep you on track. Procrastination and fear will quickly be replaced by confidence and clarity. In 2017 The Resolution Project will be offered in two modes: Workbook + Workshops or Workbook Only. A printable TRP workbook, delivered straight to your inbox to help you determine, plan and achieve your goals. Full access to our private, facilitated Facebook group where you can find and share resources, celebrate milestones, and find support to stick with your goals throughout the year, and beyond. Regular opportunities to promote your creative work and business, build confidence in self-promotion online and connect with a wide community of creative women. Opportunities to attend CWC events throughout the year and build your support crew. 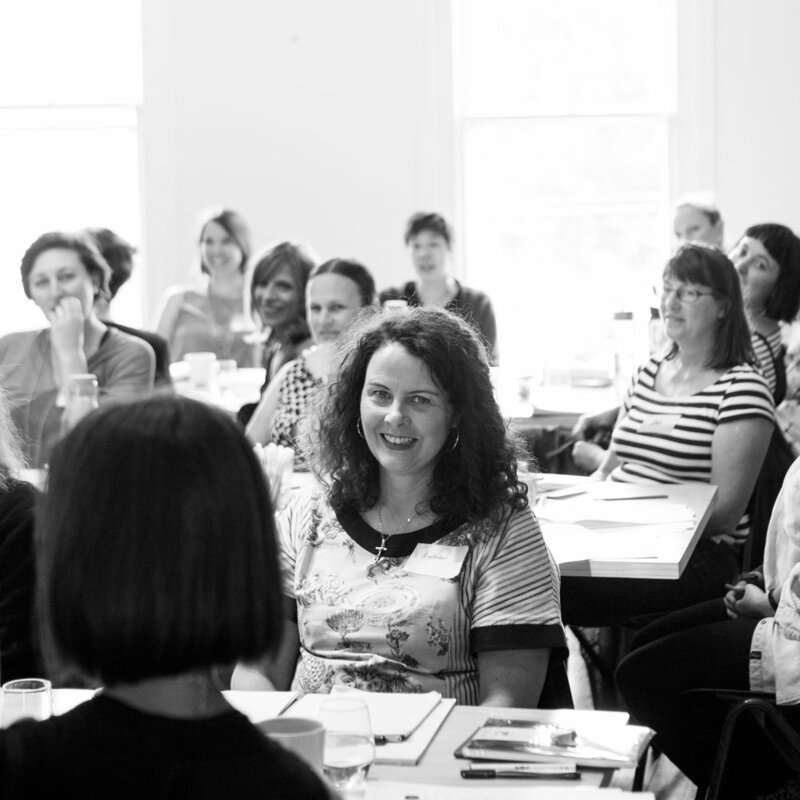 Meet and mingle with other creative women to build your support networks and connect with accountability partners to keep you motivated throughout the year. At the year's end, all TRP participants will be invited to get together with fellow CWC Members and share achievements as well as insights gained along the way. There will be drinks, nibbles and shameless self-promotion as you learn to better celebrate yourself and the creative women in your life. Places in The Resolution Project 2017 are now closed. Join our mailing list to find out when the next program intake commences.